Marc Setzer served as Director of Choral Music and Performing Arts Chair at South Mecklenburg High School in Charlotte, North Carolina from 1979 until his recent retirement in June of 2014. He holds both the Bachelor and Master of Music degrees from the University of Michigan. 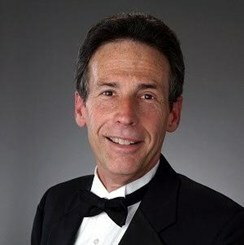 He has been the recipient of several awards including the Theodore Presser Award for Outstanding Achievement in Music Education, a finalist for Teacher of the Year in the Charlotte-Mecklenburg School System in 1988, and North Carolina’s Choral Music Teacher of the Year for 2012-13 In 1993, he founded the Charlotte Philharmonic Chorus and continued as its director through the 2006 season. Mr. Setzer served as an adjunct choral music instructor at Wingate University during the fall semester of 2014 and continues to be active as a music director for local musical productions, a clinician for All-County and All-State choirs, and as an adjudicator for state and national choral festivals. Request Lessons with Marc today!